It is very important to test these kind of long distance naval operations in advance as the troops and the vehicles on board, must remain combat worthy all the way to the target. And the seas up north can be extremely demanding. Iceland is one of the few nations in the world without an army. Iceland only has an approximately 200 men strong coast guard and a 230 men strong force for peacekeeping purposes. Due to the extremely strategic location of the island nation, USA has been guaranteeing its freedom and Iceland is a NATO member. Other NATO members and even some neutral countries like Finland have lent aircraft's and personnel to help police the Icelandic airspace. 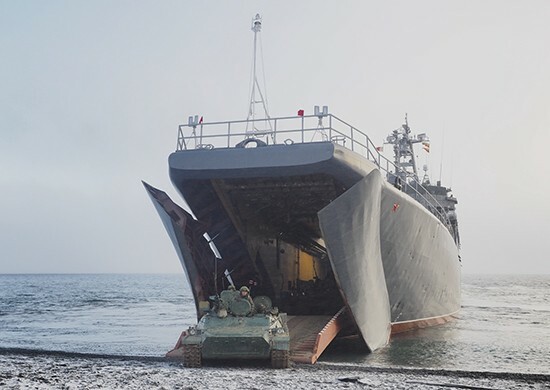 Without an effective navy Iceland isn’t equipped to stop a Russian landing force and without an army it has no change to repel an amphibious landing by the Russian marines. A dug in Marine brigade with support from the Arctic brigade and it’s modern anti-aircraft missile units a Russian foothold in the island would be a real challenge to the NATO forces available. As we can see the Cold War hot-spots haven’t all vanished. The GIUK gap from Greenland via Iceland to United Kingdom is still included in the Russian military training curriculum. NATO has also been sending more and more vessels and aircraft to patrol the northern waters.